For the love of bunnies, zombies and frocks! : Apocalypse Hal - Office War! The last few weeks have been a real pain at work. 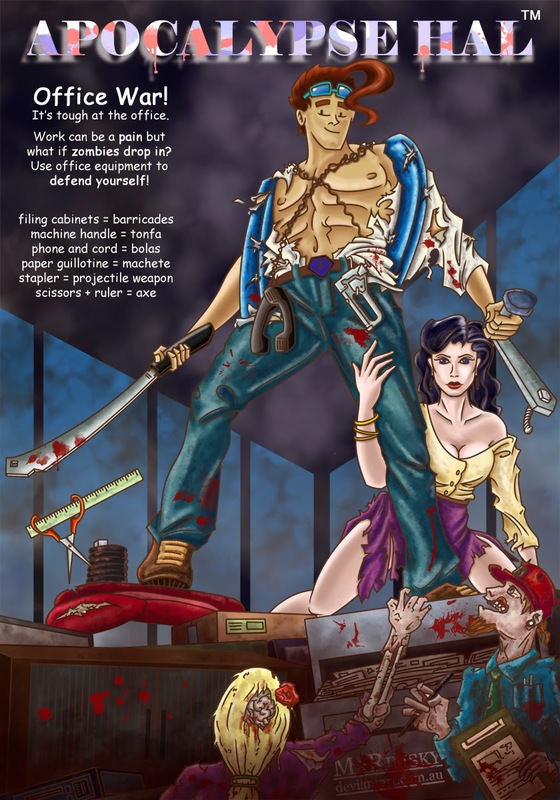 Having a zombie horde run riot through the office would have been a nice distraction. After all, everyone wants to be a hero! When I realised that those paper guillotines could be used as machetes, I quickly checked out the guillotine at work. Of course we have some health and safety approved version which is totally useless in the event of zombies. But the handle on the binding machine looks good. If you did not pick up on the post-modernism reference in the design, shame on you. 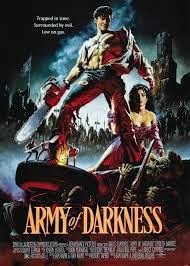 It's a parody of the Army of Darkness movie poster. A cult classic. Not that I am the first to do this, I found a Charlie Brown and Simpsons version of this poster online and there are bound to be more.